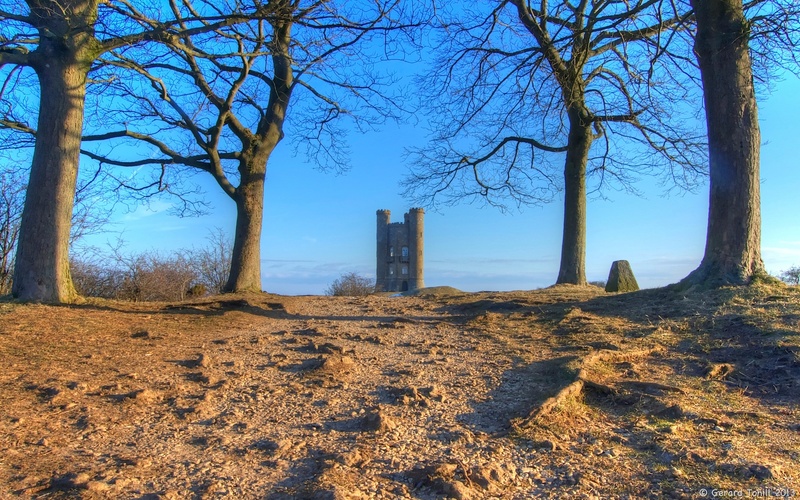 A very early start on Easter Sunday gave me the chance to try this viewpoint of Broadway Tower just as the early spring sun was rising. This is the view you get as you approach the tower from the Visitor Centre car park. This early in the morning, I fully expected the place to myself, so I was surprised to see around 15 to 20 people turn up at sunrise, and start singing hymns, clear and loud, whilst facing the rising sun. It’s the first time I have taken photographs to the accompaniment of a choir – and very good they were too.